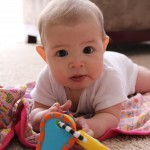 Home » Business » Why My In-Home OT Services are Different (and Better) from a Typical OT Services? Why My In-Home OT Services are Different (and Better) from a Typical OT Services? One of the main reasons I chose to open my own private practice for pediatric occupational therapy services is to be able to offer something different, something better, than the other options available to families. The basics- I offer in-home services for private pay in the south metro area of the Twin Cities, MN. If you are new to OT (occupational therapy) services, read more here about what OT is. If you are new to my services, start here on the “What I do” page. I believe that each type of service has its pros and cons, so here is how they compare, and how I am different. This is my honest opinion, and is not meant to criticize other OT services (I greatly value the work of my many colleagues in all settings and hope to collaborate within a team approach to help children and families). Clinic-based OT services- services are provided within a medical model of care, driven by the rules and restrictions of insurance companies and health care organizations. School OT services- services are provided within an educational model of care, driven by the legal guidelines for IEPs and IFSPs. Paige Hays, Therapy Services- In-home, private pay OT services. I focus on providing services families need and want within their daily lives. Parents are in charge of what services their family needs, not insurance companies, health care organizations, or school districts. If you haven’t read about what I do, visit this page for a brief description. Paige Hays, Therapy Services- The most unique feature of my in-home, private pay services is that I am able to provide any kind of OT service. Some families only need a few sessions of parent education focused on helping parents build a home program, while other families want weekly visits of direct therapy with their child. Most families want something in the middle. Read more about example services I can provider. Service area: South Metro area- Apple Valley, Bloomington, Burnsville, Eagan, Eden Prairie, Edina, Inver Grove Heights, Farmington, Lakeville, Mendota Heights, Prior Lake, Richfield, Rosemount, Savage, Shakopee, South St. Paul, West St. Paul. Clinic-based OT services- Clinics generally offer a wide range of OT services from general OT to very specific therapeutic programs. Most insurances will only pay for direct services provided to a child. Therapists are restricted to providing particular services for each insurance provider (for example, many insurances will not cover cognitive or sensory integration treatments). Interested in knowing more about restrictions on OT services from insurance companies? Read more here. School OT services- School OT services are related to academic goals and school performance (except for very young children who fall under different rules). Each school district has its own interpretation of how OT services can support student performance through both direct and indirect services provided for the student (e.g., consultation with the teacher). Visit pacer.org for information on school services in MN. 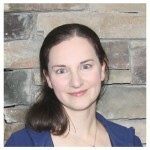 Paige Hays, Therapy Services- I work hard with families to make goal setting a priority. Then we work together to make your goal achievable. I have no restrictions or limitation on the goals, but view it as my job to help families understand their struggles and set achievable goals. Examples of goals I have worked on include being able to be safe on the playground, completing homework appropriately, playing independently while a parent makes dinner, and writing legibly on school work. Clinic-based OT services- In a good clinic, therapy goals should be written with parent input within the guidelines of the clinic and insurance company. Goals are reviewed every 90 days, typically, and updated as needed. However, in my experience many parents are not aware of their child’s specific goals or if they are making progress to achieve them. School OT services- Goals are written in a formal document called an IEP (or IFSP for younger children) and the goals must relate to academic performance, rather than being OT-specific. Parents are part of the goal writing through the IEP process, but goals are generally driven by school staff. Updates on goals should be made several times a year. Paige Hays, Therapy Services- My costs are specific to each family based on their needs for a set hourly fee. Families and I agree on a specific outline of services, usually 3-12 sessions at a time and specify in contract what services will be provided. Examples of services may be direct therapy, a home program, family sessions, or parent education. See details on the cost of private pay OT services here. To learn more about why I don’t take insurance, read here. Clinic-based OT services- Highly variable. Clinics have a set rate they charge, but what an insurance will actually pay or what a family would pay as a private pay rate is really hard to find out. Most clinics charge $200-400 for a typical OT session in a clinic, with parents being responsible for the deductible, co-pays, and/or co-insurance. Some families pay very little after insurance, but others may pay a lot. It is important to know and understand your coverage. Private pay rates differ widely, often with a discount on the typical rate charge if you pay upfront. 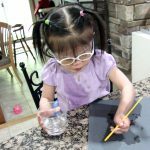 School OT services- Free, if you qualify (in MN). Paige Hays, Therapy Services- I see families at their homes, within their schedules. I see families when they need to be seen, which at times means several times a week and other times means only once a month. I also consult by email or phone as needed. Because I only take a limited number of clients at one time, I am able to be flexible and work with families on their scheduling needs. Clinic-based OT services- Limited to clinic hours and availability. For younger children this is often not an issue, but for older children it can become very difficult to get after-school appointments. Scheduling generally occurs on a regular basis, such as once a week or every other week. School OT services- Services occur within the school day. Generally parents are not part of this scheduling process (except for birth to 3 service in-home). Paige Hays, Therapy Services- In your home (or a community location as appropriate- for example, I love to do OT sessions at the playground!) I want to work on skills where they are needed, whether at home, in the grocery store, or the neighborhood park. Clinic-based OT services- Parents select a clinic location within the insurance network set out by the insurance provider. In the Twin Cities, there are many OT clinics of varying sizes and specialties. School OT services- Services occur at the school location (unless under age 3, then service occur in home). Paige Hays, Therapy Services- Me, Paige Hays, occupational therapist. Read more about me here. 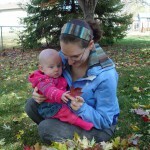 I am a highly skilled OT with years of experience working with children of all abilities. I am passionate about my work helping children and families. Not having to change therapists, you know exactly who you are working with. Clinic-based OT services- Depends on the size of clinic and staff. I have worked with some clients in a clinical setting for year, but it was the exception. Most children will see many different staff members due to scheduling and staffing changes. Logistics for clinics and families often require therapist changes, which disrupts care for families and children. There is also a benefit to a larger staff with more knowledge and expertise, as well as collaboration among staff. 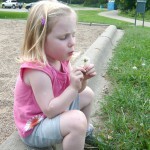 School OT services- Parents have very little say about who their child receives OT services from. My areas of expertise are children with attention and behavior disorders, such as ADD, ADHD, executive dysfunction, and learning disabilities. I have completed neurodevelopmental training (NDT), which is specialized training to work with children with motor disabilities, such as cerebral palsy and genetic disorders, that cause high or low tone (or atypical tone, such as ataxia). I have over a decade of experience working with children with general developmental delays, such as delayed fine motor, gross motor, play, or activities of daily living (ADLs) skills. 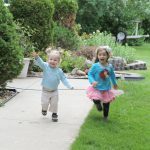 Being an adoptive parent, I am also highly skilled at balancing the needs of children with adoption histories with their therapy needs (see my post on this topic here). Clinic-based OT services- Clinic services are ideal for children with complex medical needs who need care that require specific equipment and multiple care providers. Most clinics require a MD referral for treatment, and then insurance companies can put restrictions on who can receive services and how much service they can receive (read more on OT service and insurance coverage). School OT services- Schools have specific requirements related to who can receive special education services. A student must be tested and qualify for an IEP (or IFSP), then OT can be added as a related service if the school team feels it is needed. Many children with mild to moderate needs simply do not qualify, despite needing help. Paige Hays, Therapy Services- Parent involvement is a key component to my service model. I believe that parents are the best advocates and teachers for their own children, but that they often need the guidance and expertise of professionals in this journey. I ask parents to be involved at each step of the occupational therapy process, while trying to make it as easy and practical as possible. Clinic-based OT services- Widely variable depending on clinic and therapist. The clinical model emphasizes direct treatment with children and often forgets to really include parents in the process. I know many talented therapist who overcome this and do include parents well, but they are the exception in my experience. School OT services- From birth to 3 years old, services are provided with a family focus, but after age 3, services occur in the school setting with little to no parental involvement. So, how am I different? 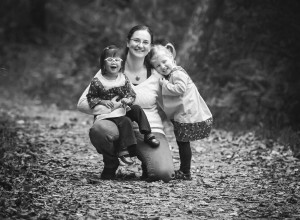 My occupational therapy services are about you and your family’s needs. You don’t have to fit into the medical or educational models of care. You get to decide what help you need, and I will do my best to help your family achieve those goals. Have a question I didn’t answer? Send me an email, and I will try to answer your questions. Disagree with my opinion? Please send me an email with your thoughts. I want to be up to date and honest with the information I provide to families. Want to learn more about me and my services?